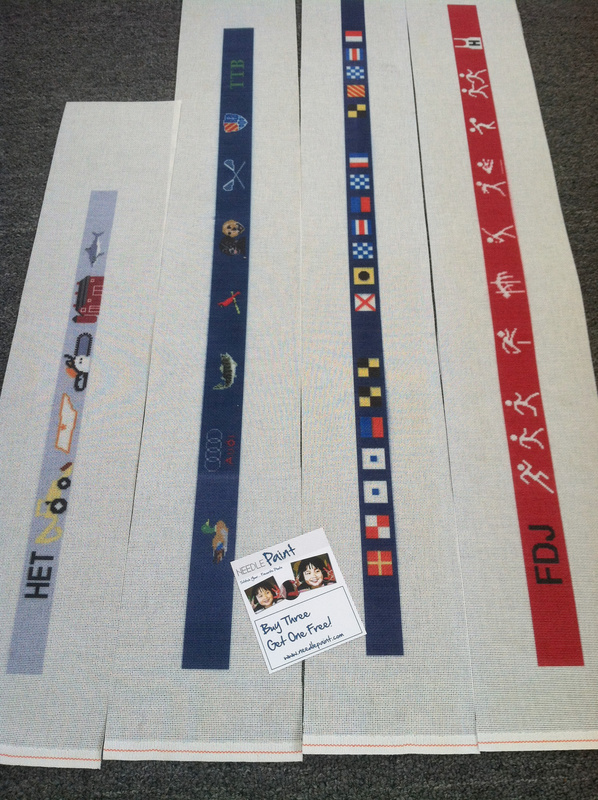 What a treat when our customers send back pictures of their custom needlepoint projects fully finished! 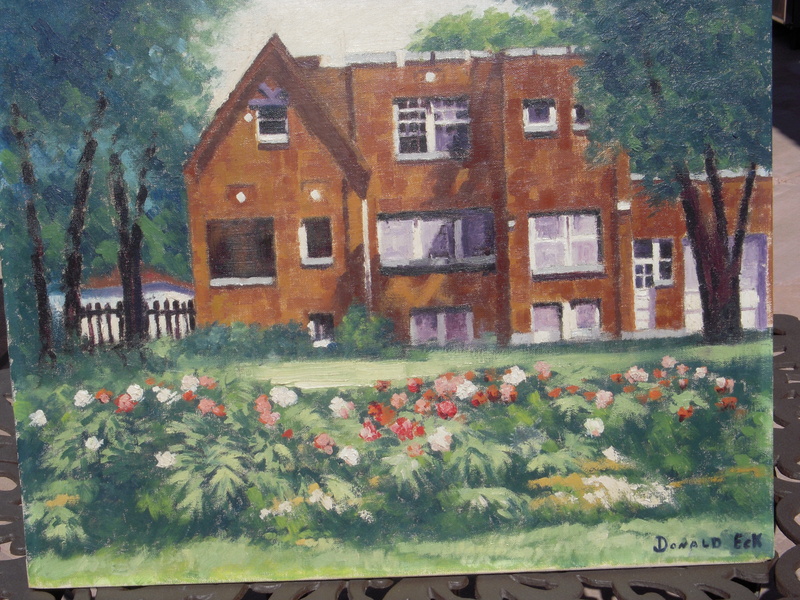 This project was based off a water color painting of their childhood house. 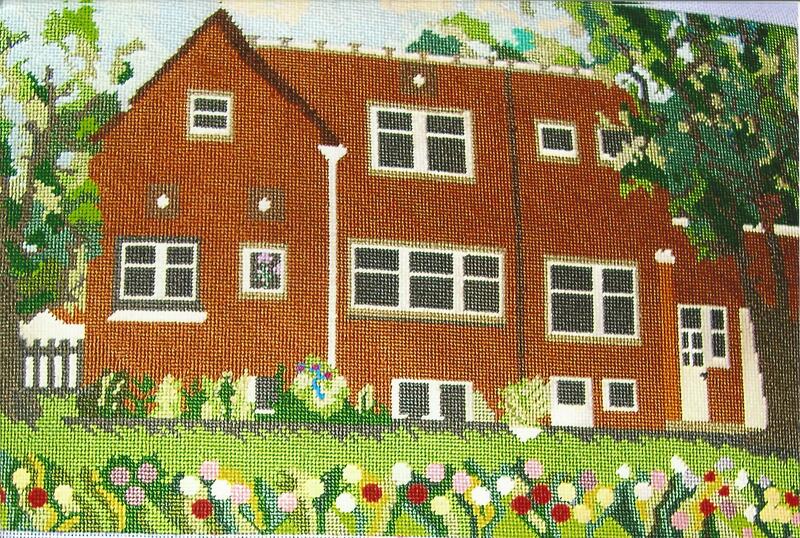 The stitcher took some liberties with the flowers below, and really made this a stunning needlepoint house! The original watercolor we used to create the canvas design. You may have seen the Jolly Roger on Needlepoint Belts before, buy you have not seen a design like this! We’ve created a personalized needlepoint template featuring the Jolly Roger and your last name in Boister Black letters. Being able to personalize your own needlepoint canvases really makes this design pop and would be a great gift. Click here to see the Jolly Roger Needlepoint Belt Canvas in our Shop. 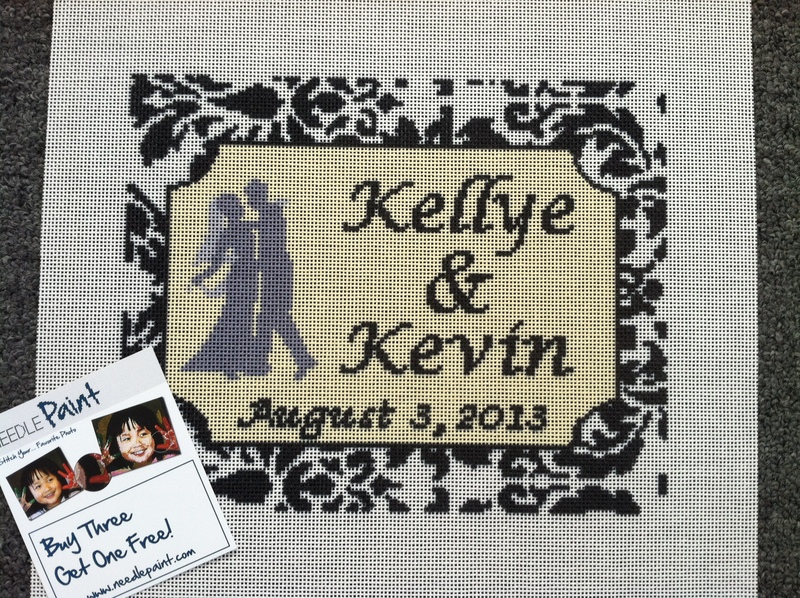 We had a request for a wedding needlepoint project recently. The customer loves the waltz ring bearer pillow design, but wanted something for the wall. What we ended up with was an 8 x 10 inch custom needlepoint canvas that looks amazing! The soft yellow background goes with their wedding colors, and the background shows more of the damask pattern. 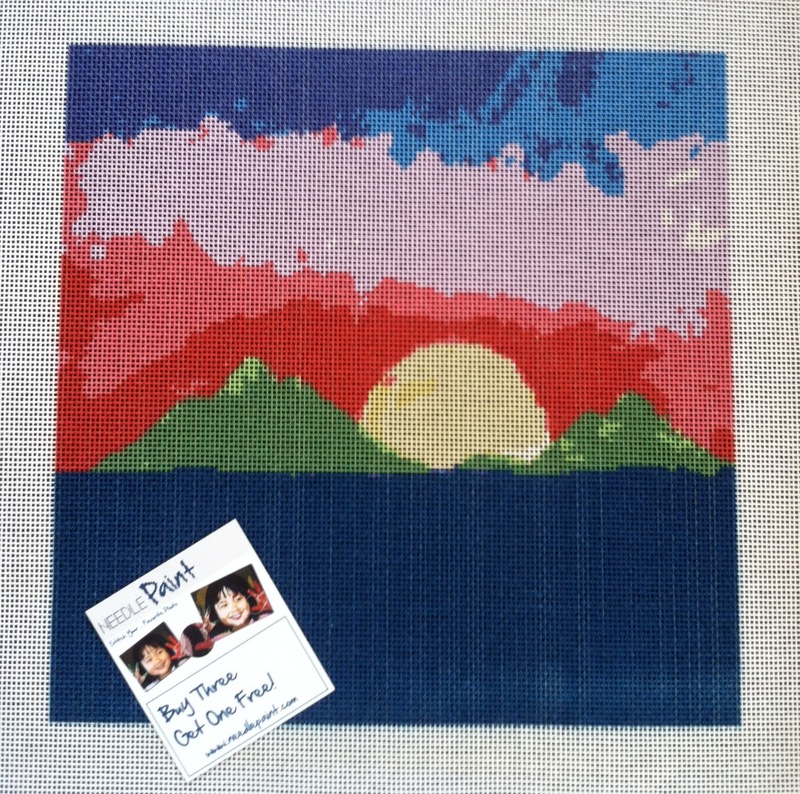 If you have an idea for a custom needlepoint canvas, contact us, we’d be happy to help create something special for you! 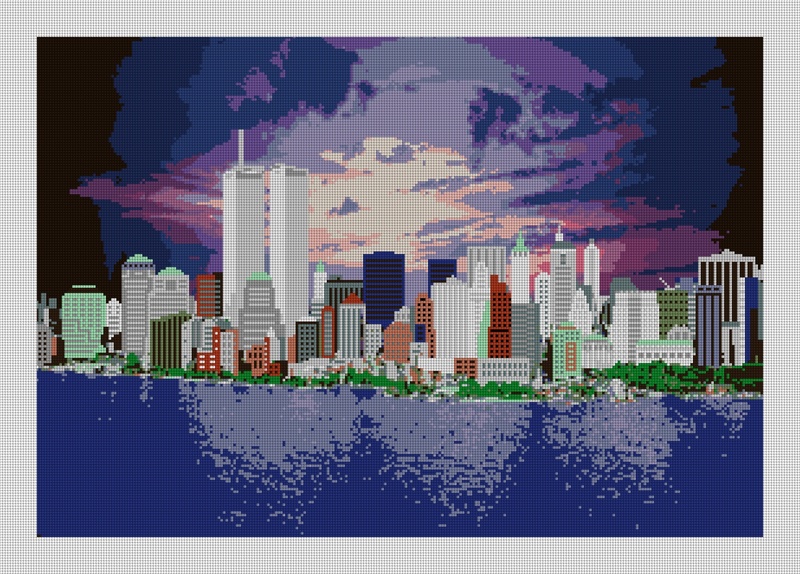 A few weeks back, we had a request to design a needlepoint canvas of Manhattan. 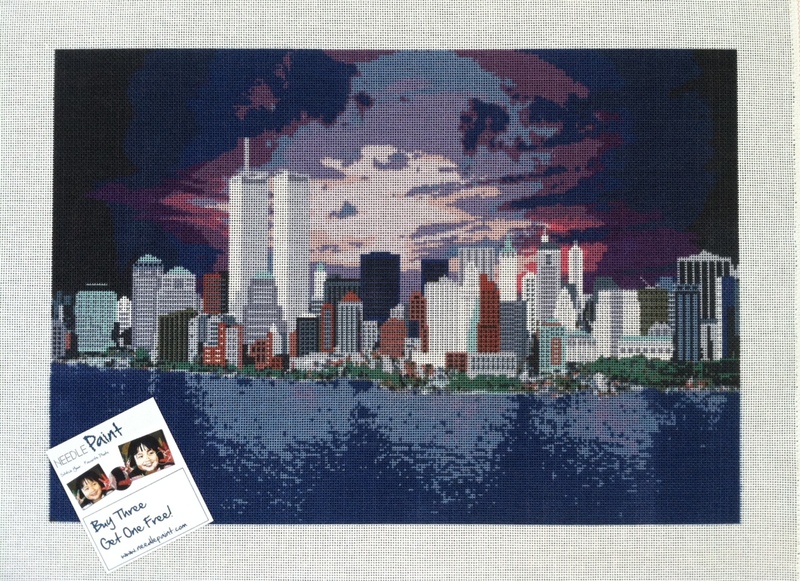 The customer loved the realistic feel of our needlepoint designs, but wanted to feature the twin towers and have a sunrise in the background. It took some time, but it was worth it! The design size is 20″ x 13.8″ inches on a 24 x 18 inch, 14 mesh needlepoint canvas. If you have a custom needlepoint project you would like to work on, contact us, we’d be happy to help. In case you have not been on our website lately, or not noticed the small option in the needlepoint designer, you may be glad to hear we now offer both 10 and 12 mesh needlepoint canvases. 10 mesh canvases have larger holes, and appeal to stitchers who may appreciate being able to see the design more easily. As we age, you could understand the appeal in this. 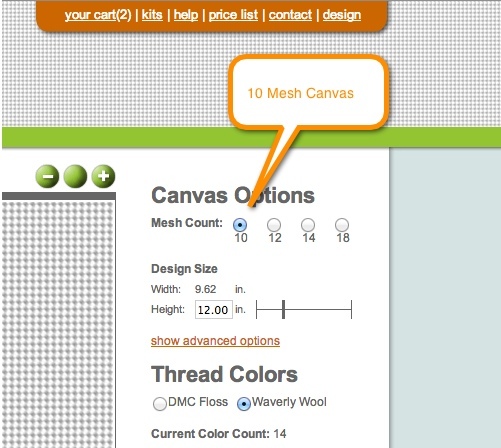 To order a 10 mesh canvas, click on the 10 to see a digital preview of your design. Along with the larger mesh sizes, we offer waverly needlepoint wool to go with our custom needlepoint kits. This is a three ply wool, with vibrant colors and a great feel. Whether you want to needlepoint a photo, or shop our personalized needlepoint designs, you now have the options to stitch a mesh count that works for you. If you see a design you like in our shop that you would like to purchase, contact us. Below is a Molokai Sunrise Needlepoint Canvas designed by Cole Mosher on 10 mesh canvas.